Professor Otto, whose image and quote about the role of human rights forms part of the piece, knows Weiwei’s story; Lego attempted to censor him by refusing his bulk order of their bricks because it believed he would use them for a political statement. 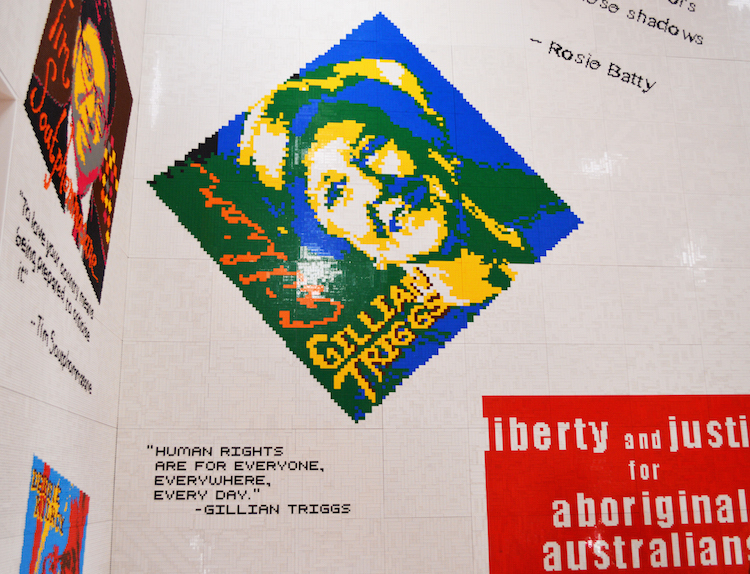 He did just that using a similar product instead, with more than three million plastic building bricks used to create the ‘Letgo room’, which features portraits of 20 Australian human rights advocates, from WikiLeaks editor-in-chief Julian Assange to President of the Australian Human Rights Commission and MLS alumna Gillian Triggs. Professor Otto got her first glimpse of the installation at the opening of the Andy Warhol/Ai Weiwei exhibition at the National Gallery of Victoria in mid-December. “It is about human rights activists and advocates and Weiwei wanting to represent some sort of solidarity between them in Australia,” Professor Otto says. A prominent political activist, Weiwei has previously been jailed in China for being critical of the Chinese Government’s stance on human rights and democracy. Professor Otto was approached to contribute to the installation about four months ago. 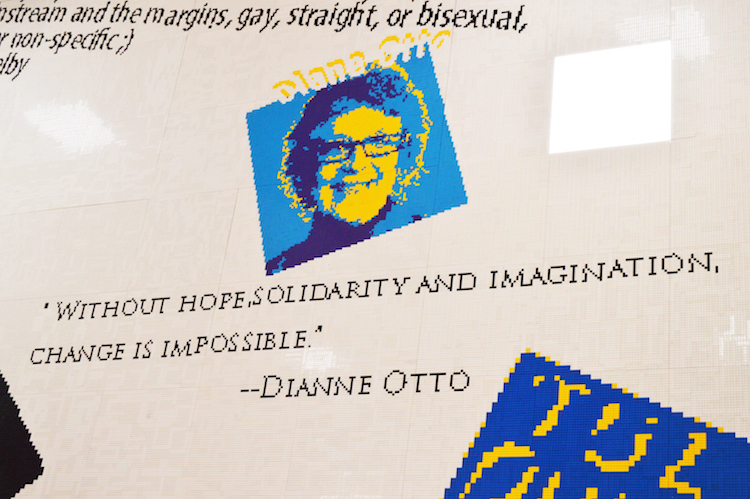 Her quote – “Without hope, solidarity and imagination, change is impossible” – summarises her approach to human rights and its role in her life and others. “I am endlessly, perhaps sickeningly, hopeful that change is possible in the world. 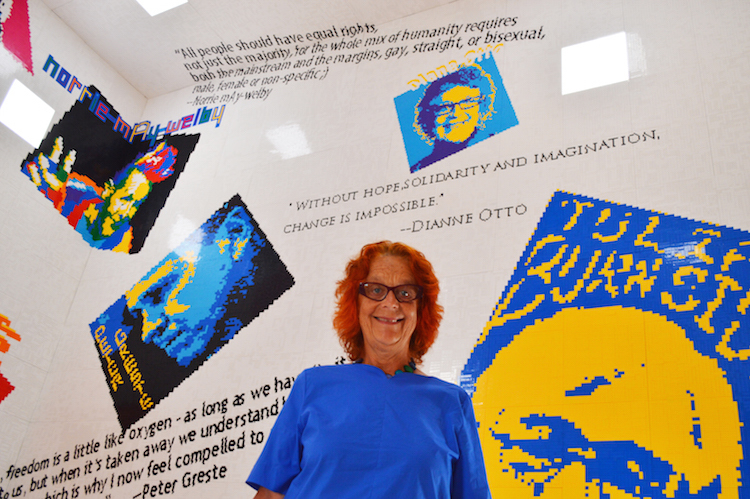 And I try to inspire my students that with hope they can make a difference in the world,” Professor Otto says. “With solidarity, it is so important that we work with each other, especially at a community level. I find sometimes that is a value that is lacking; especially in the Western world today, we tend to be very individualistic in the way we look at the world rather than work as a collective. Professor Otto says she is completely overwhelmed and proud to be associated with Weiwei in such a public way as his work “reminds us of what we need to be hopeful for”. “I think he is courageous and an inspiration to many people,” Professor Otto says. The Andy Warhol/Ai Weiwei exhibition runs until 24 April.